Under the patronage of HH Sheikh Dr. Sultan Al Qassimi the Ruler of Sharjah, and Princess Lalla Hasna, President of the Moroccan Society for Archeology and Heritage, the International Forum on Cities and Heritage in the Arab Countries will be held during the period from 26-28 November 2018 in Essaouira antique city in Morocco. The new Guelmim Airport is situated in an existing military infrastructure located 3km north of the city of Guelmim in the south of Morocco. 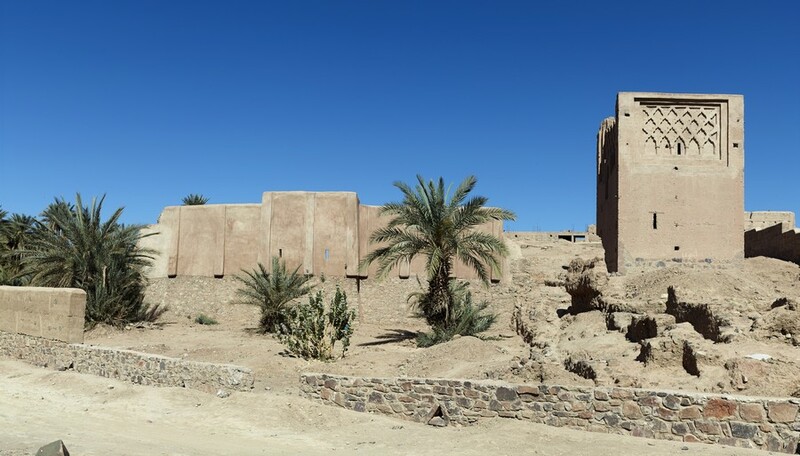 Nestled in a Moroccan oasis where ancient mineral springs have drawn visitors for centuries, the Sidi Harazem Thermal Bath Complex represents a marriage of nature, public space, and modern architecture. 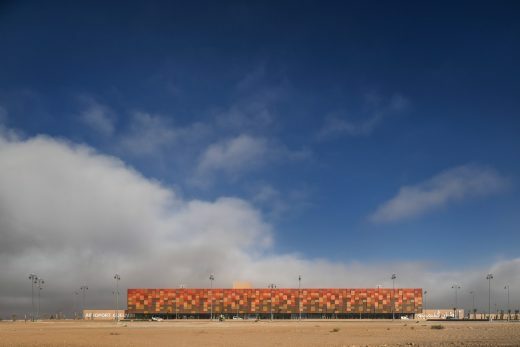 Built four years after Moroccan independence, the complex is the ambitious statement of a new nation determined to create modern and forward-thinking gathering places for its citizens. 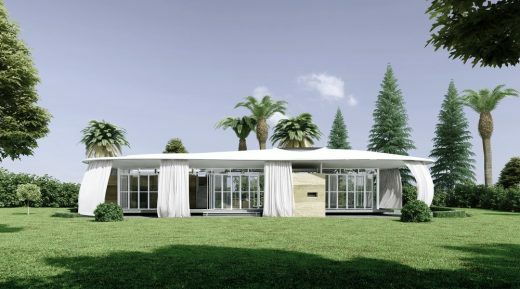 New awards announced for this most recent major project by Galal Mahmoud. 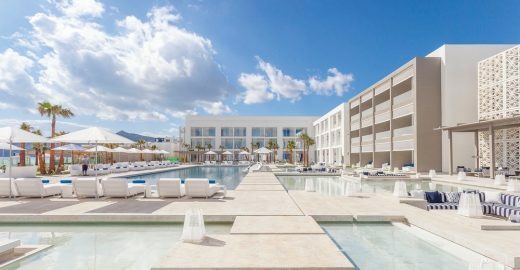 The Sofitel Tamuda Bay is located on the northern coast of Morocco about 20 miles east of Tangier. The Radisson Blu Hotel Marrakech has just officially opened its doors. Xavier Guerrand Hermes and the investment fund Actif Invest invited Atelier Pod to design the accommodation of their new Marrakech property operated by the Carlson Rezidor hotel chain. Located in a rural landscape and sheltered by olive trees, the Residence-Atelier-Foundation is facing the majestic white outline of the Atlas Mountains. It comprises a private residence, a pavilion for her 3 children and guest artists, and her atelier to retreat and focus on her work. In addition the complex can also host an art gallery and a foundation dedicated to encourage Moroccan women artist vocation. The Concept is the Pastry box ribbons, that are usually twisted when trying to confine the cake box. 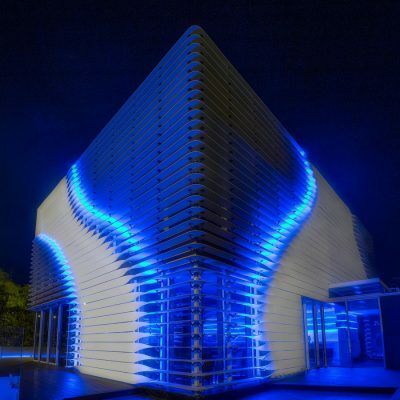 The twist’s dynamic is used to create a double skin facade that adapts to the different uses and orientations. 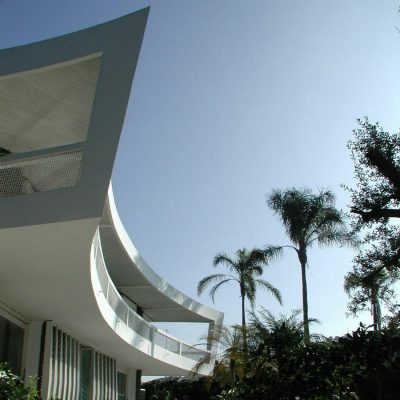 Andy Martin Architects were selected from a shortlist of acclaimed British restaurant designers to restore and convert a classic 50s villa, situated in the elegant Anfa District, fancy heart of Casablanca, Morocco’s most cosmopolitan city. Naji has carried out the work with skilled masons and unskilled workmen, whom she has trained in traditional building techniques and who go on to apply their skills at other sites. Architecture and public spaces have been conserved not only for their historic value, but as locally rooted, sustainable models for contemporary building. Linking Rabat and Salé to form an urban hub, the Hassan II Bridge and its associated access works relieve both cities’ historic sites and populations of atmospheric and sound pollution.